How do you choose Metal door hardware? Many people are confused with the choice of metal door ironmongery. 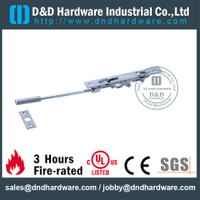 Metal door hardware includes Door Hinges，Lever Handles, Mortise Locks, Pull plates,Door Closers,Panic Exit Devices, Flush Bolts, Door Stoppers, Sealing Strips and so on. 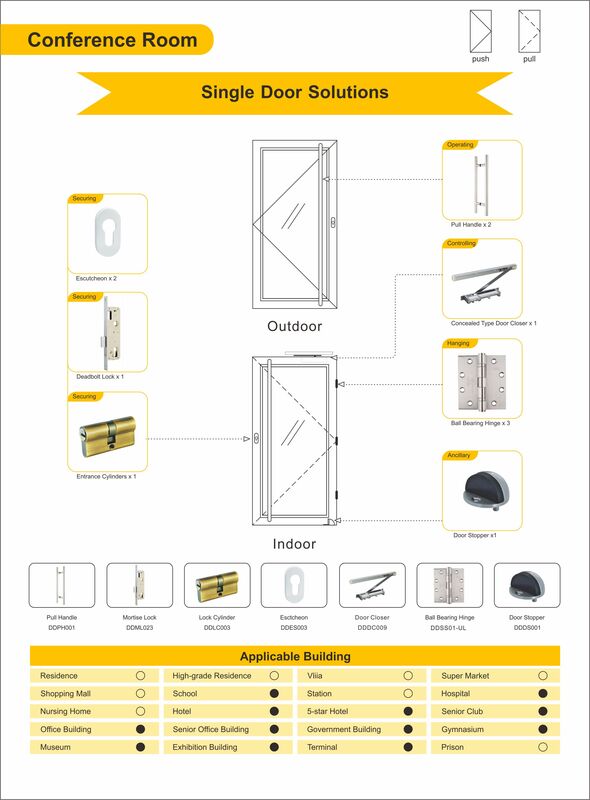 The ironmongery for metal door also needs different functions corresponding to the differ ent places where the metal door is located. 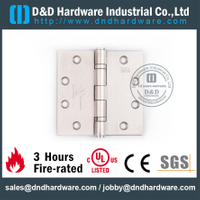 Hardware is the most important determinant of Metal Door Quality.This is also a problem that people are perplexed in choosing hardware. This article aims to show you how to choose the right Metal Door Hardware. 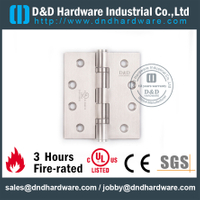 1) Door Hinge: D&D produces the highest quality of stainless steel hinges meeting the most stringent requirements, have ANSI / BHMA 156.1, CE EN1935 , UL 10C 3 hours Fire Rated certificate. 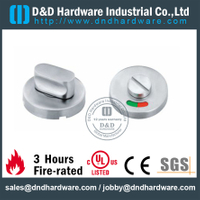 Tested to all the requirements of BS EN 12209/ EN 1634, 240 minutes Fire Rated. ANSI, UL certified options available. 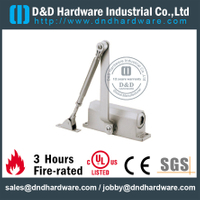 3) Door Closer: D&D produces the highest standards and UL Listed fire rated door closer. Adjustable closing speeds, Adjustable latching speeds, Back check function, Power size Range: EN 1 to EN 6. 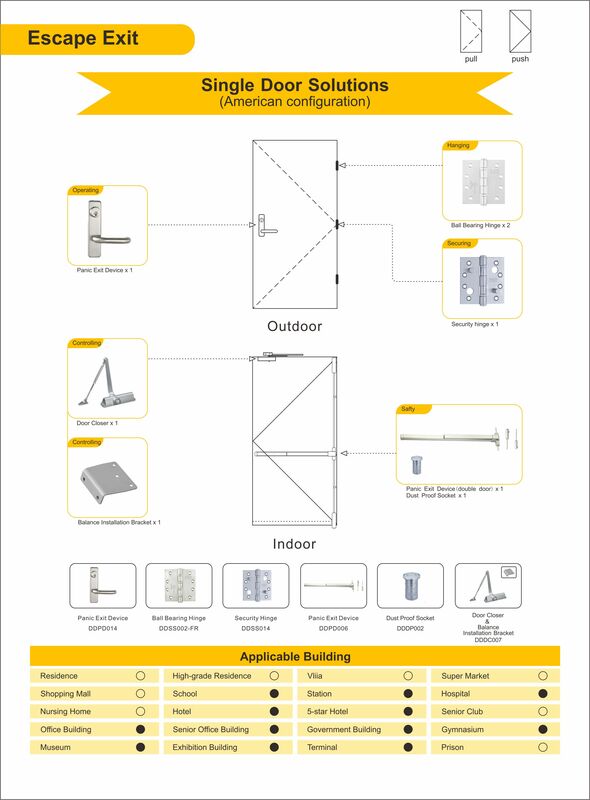 Handling can be easily adjustable on site feature allows the door to be opened to a specified degree without hitting the wall. 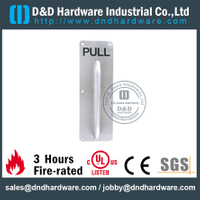 4) Exit Device: D&D produces the highest CE standards and UL Listed fire rated Exit Device. Tested to all the requirements of BS EN 1125, Fire Resistance. 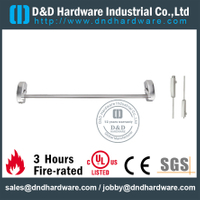 Touch bar rim exit device, Vertical rod exit device options available. 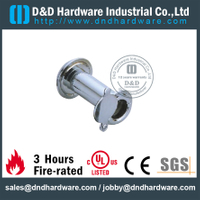 5) Flush Bolts: D&D produces the fire resistance standards door bolt for hollow metal doors and steel doors. 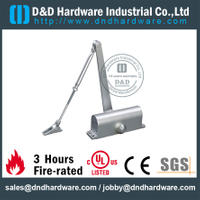 6) Door Stopper: D&D produces various door stopper for hollow metal doors and steel doors. Metal escape is usually used in schools, hotels, museums, government buildings and other places. Emergency door hardware is the backbone of any security door solution. 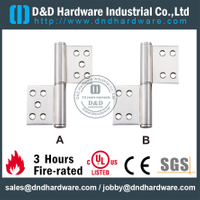 Since all hardware is mounted on doors or doorframes, tenons are attached to doors or doorframes or connected to them, it is extremely important to determine the correct configuration from the beginning. 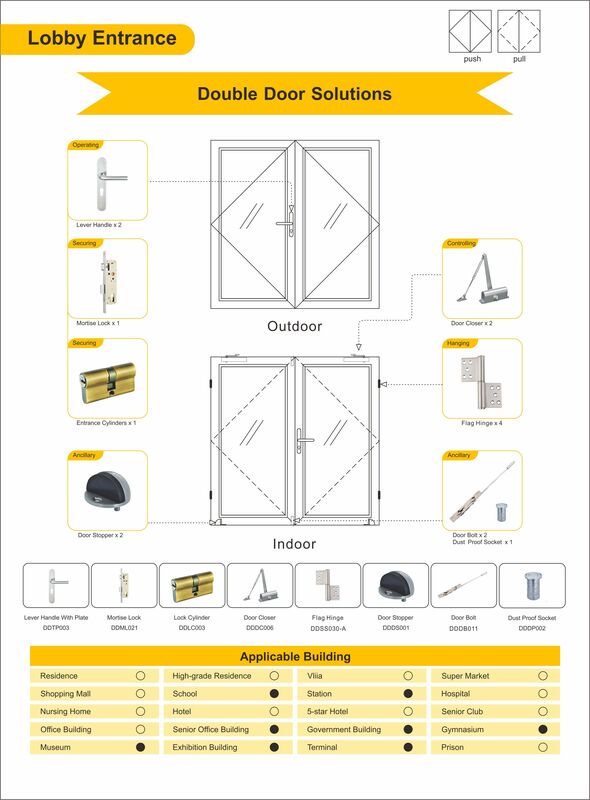 The scope of safety export hardware includes lever decoration, ball bearing hinge, safety hinge, emergency exit device, door closer, dust-proof socket, balance installation bracket and accessories. 2. 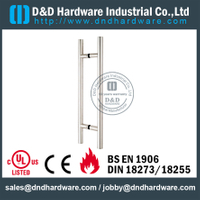 Hardware solutions for metal escape double doors. The use of metal escape double doors is roughly the same as that of single doors. 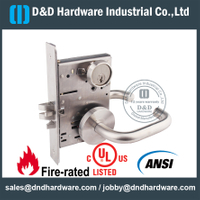 The scope of safety export hardware includes lever handle, lock sets, ball bearing hinges, safety hinges, emergency exit devices, dust-proof sockets and accessories drawings. 3. 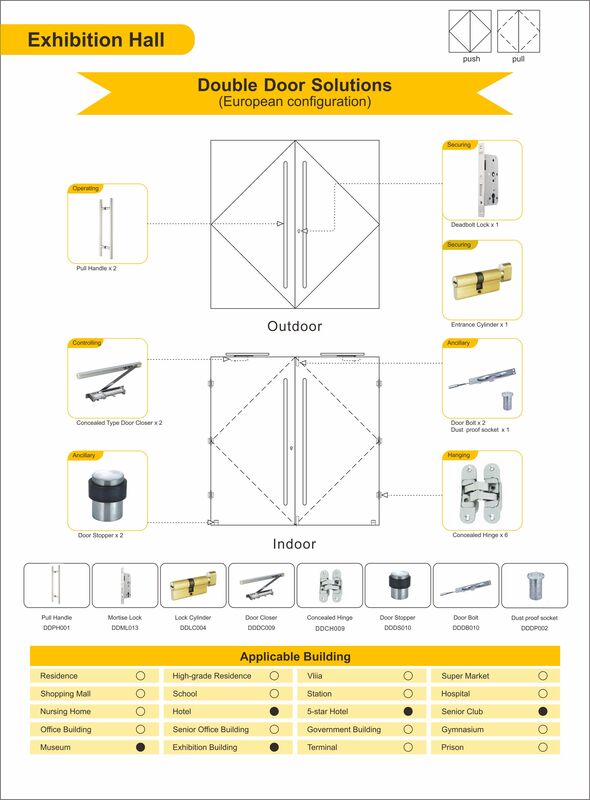 Solution of hardware for balcony single door. 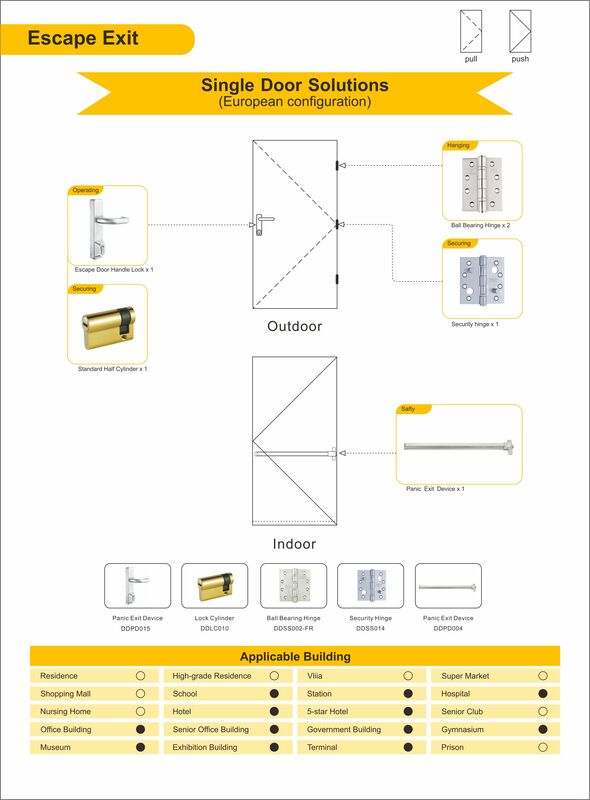 Balcony metal single door hardware function in residential, hotel, club, etc. 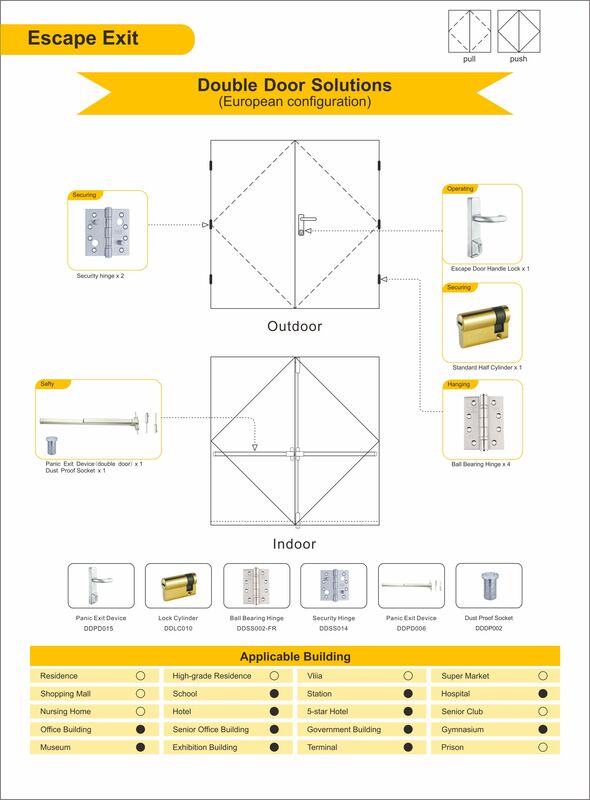 Balcony hardware series includes handle, mortise lock, ball bearing hinge, door block and accessories. 4. Solution of metal single door hardware in conference room. Conference room hardware is generally used in hospitals, schools, hotels, clubs and other places. 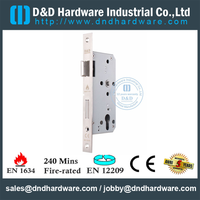 The conference room hardware includes ball bearing hinge, door handle, mortise lock, decorative frame, door closer and accessories. 5. 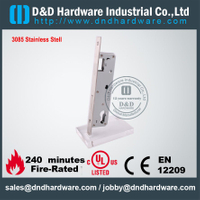 Hardware Solution of Double-door Metal Door in Exhibition Hall. Generally used in hotels, clubs, museums, exhibition halls. 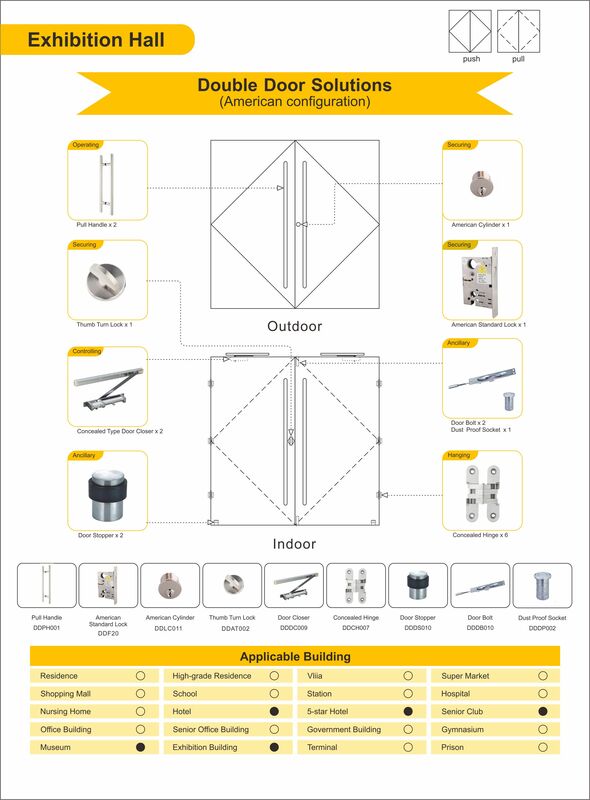 The hardware scope of the pavilion includes handles, American standard locks, American standard locks, American standard locks, thumb rotation locks, door closers, dark hinges, door retainers, door bolts, dust-proof sockets and accessories. 6. Hardware Solution for Double-door Metal Door in Front Hall Entrance. 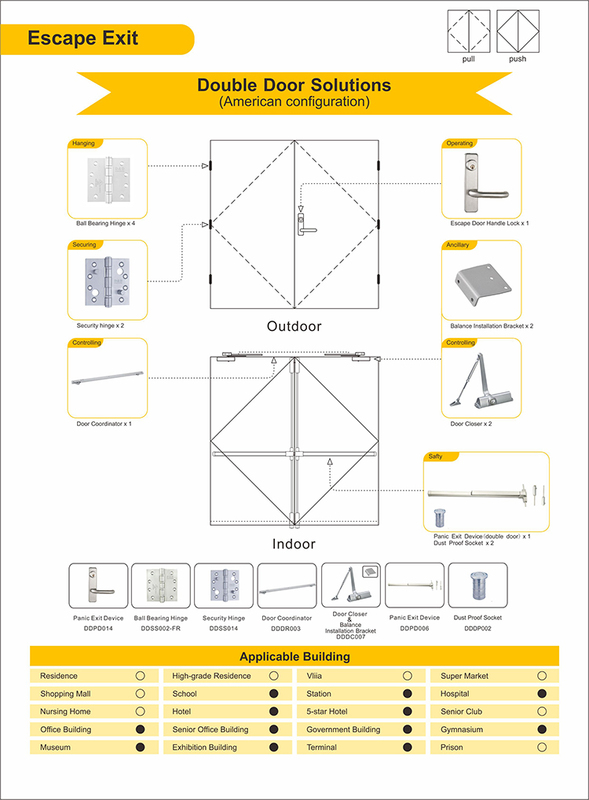 It is used in office buildings, platforms and Exhibition halls. 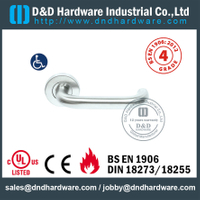 The series of entry hardware includes lever handle, door lockset, door closer, ball bearing, door block, door bolt, dust-proof socket and accessories. 7. 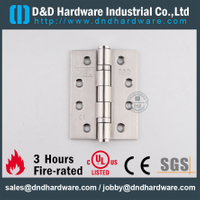 Solution of office hardware for metal door fittings. 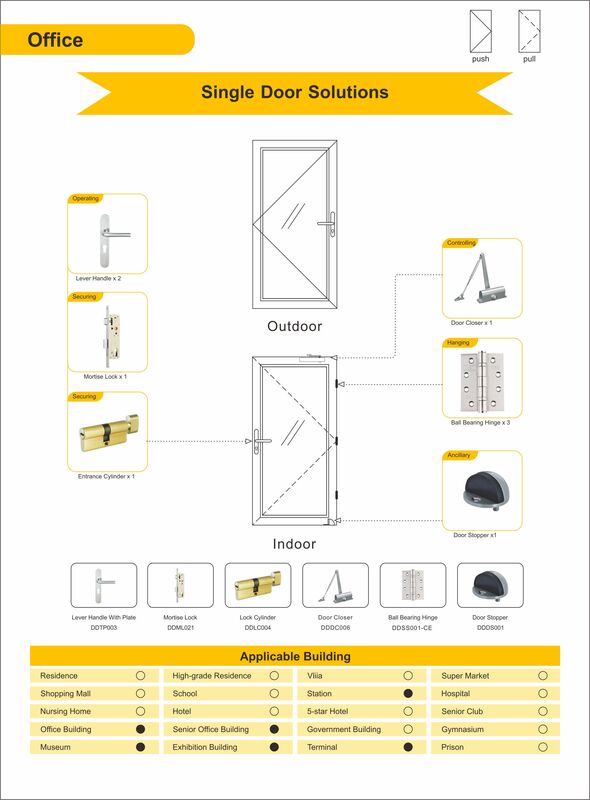 Office single door hardware series includes panel handle, lock cylinder, door closing, ball bearing and accessories. 8. 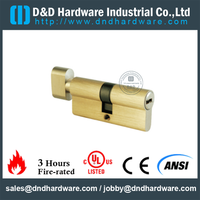 Solution of single door ironmongery for metal door in smoking room. Smoking room can be said to be widely used. 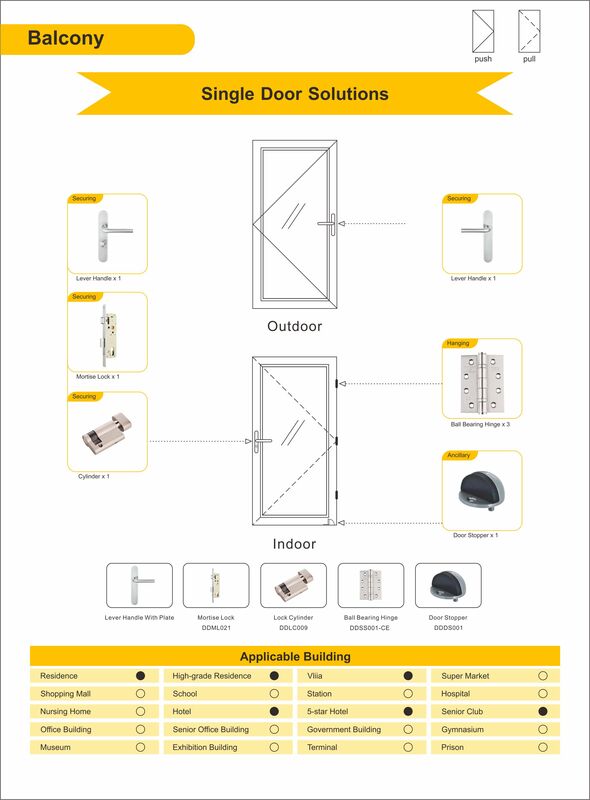 Office single door hardware series includes panel handle, socket lock, lock core, door closing, ball bearing, door block and accessories. 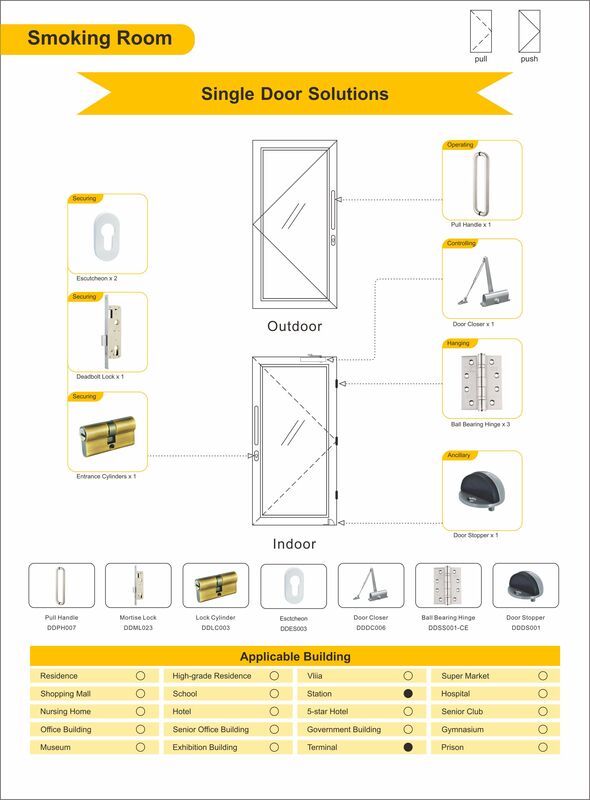 This article lists several references for ironmongery for metal door collocation in different environments. If you want to know more about hardware solutions in different environments, or the benefits of this collocation, you can continue to pay attention to our article and will explain more for you. 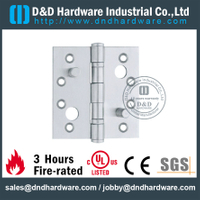 D&D supply Door Hardware to Metal Door manufacturer for more than 10 years. Our Qualified Experienced Team who can can assist you find the right solution most suitable for your needs, dedicated to a mutually-rewarding. 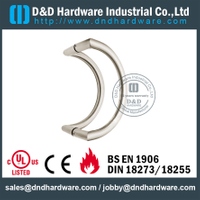 ©Copyright D&D HARDWARE INDUSTRIAL Co., Ltd. All Rights Reserved.